Linux Mint 18.2 in the wild! I’ve just upgraded to Mint 18.2 from 18.1 being the (sort of) early adopter that I am. Realistically there was no good reason to do this - 18.1 was running well and doing everything I need, except to get any new bits and pieces that come with .2. There are some nice new desktop pics (quite beautiful ones actually), but not much I can see that is really different. It's still running Cinnamon, so there haven't been any gigantic changes in the UI in a while. I’m running it on a Lenovo M series desktop that I’ve had for some years and it’s a beast of a machine so any performance upticks in the new version aren’t really noticeable. 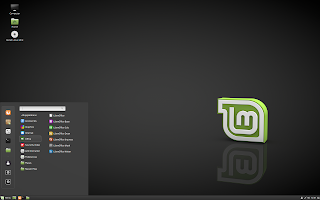 Here are the release notes : http://blog.linuxmint.com/?p=3289 and they're worth a quick perusal. Fortunately I found the solution. The nemo-desktop application is no longer running. I found it (/usr/bin/nemo.desktop), ran it and voila - icons are back! I’ve added it to the startup applications and that fixes that. Various app upgrades including xed, update manager, xviewer, xreader and LightDM - the new login manager.